BELLVILLE — The Bellville Police Department will have its 2018 Stuff a Cruiser Program weekend at Walmart on Possum Run Road. It takes place form 10 a.m. to 2 p.m. Friday, Nov. 30, 2018 and Saturday, Dec. 1 from 10 a.m. to 2 p.m. each day. The program is sponsored by the Law Enforcement Association of Bellville, with proceeds benefitting the Refer a Family, Secret Santa Program and area families in need. If you have any questions about either program please feel free to contact the Bellville Police Department at 419-886-2813. 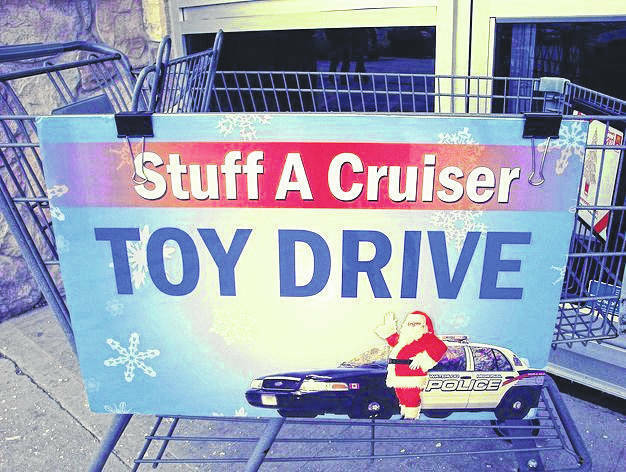 File photo The Law Enforcement Association of Bellville’s Stuff a Cruiser event is this coming Friday and Saturday at Walmart on Possum Road Road. It runs from 10 a.m. to 2 p.m.
https://www.thebellvillestar.com/wp-content/uploads/sites/39/2018/11/web1_Stuff-a-Cruiser-fund.jpgFile photo The Law Enforcement Association of Bellville’s Stuff a Cruiser event is this coming Friday and Saturday at Walmart on Possum Road Road. It runs from 10 a.m. to 2 p.m.